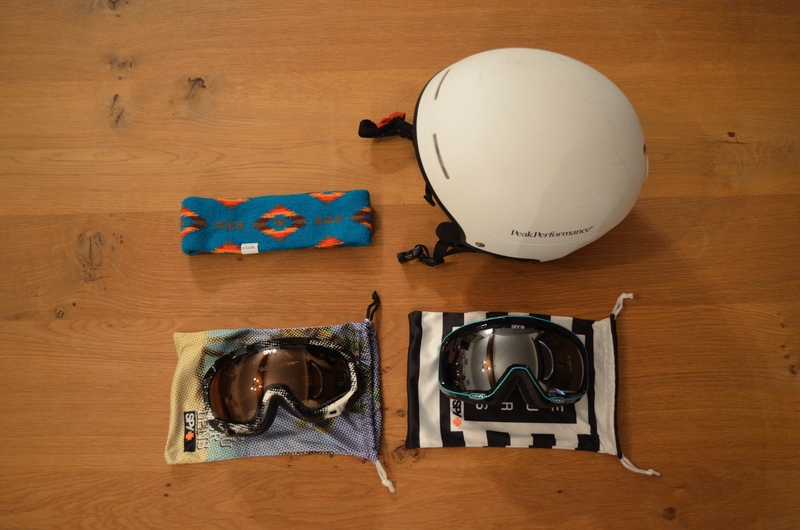 Now that ski season in the Northern Hemisphere is well under way, I thought I’d share what gear I’ve been using. First off headgear. I always find that you get some small gap around the edges of your helmet where cold or snow manages to get in. You could just wear a hat under your ski helmet, but I find this really uncomfortable as it always get bunched up. The headband keeps put pretty well and doesn’t make your head too hot. I think the pattern on the Coal Taos headband is pretty cool as it shows just around the edges of your helmet when you’re wearing it. I haven’t always worn a helmet. When I first started learning to ski it wasn’t so common, but when I was about eight my parents decided it would be a good idea so they bought me a lovely fluorescent yellow one, I remember being not too pleased. With the exception of a couple of seasons I’ve worn a ski helmet ever since. Thinking about it, I’m pretty glad I do, I fell of a chairlift when I was about ten and have gained a bit of a dent on an old helmet from another chairlift! This is the lightest and most comfortable ski helmet I’ve ever worn. Some ski helmets feel very plastic or flimsy – this really doesn’t the outer shell is sturdy and the lined inner doesn’t seem as though it would become damaged easily in the way that exposed expanded polystyrene helmet inners could do. I really like the helmets that POC make, from my experience of this one, when it comes to replacing my current helmet it will probably be with another POC one. These both have Carl Zeiss lenses – they’re really the best I’ve used. The Soldier goggles have a low light lens for skiing in whiteouts whilst the Bias have a more reflective lens for bluebird days. I’m not so sure that SPY make the Bias goggles any more, and I bought these a few years ago, but I find that their fit is very similar to the Soldier goggles. I think the most outstanding feature of these two goggles is the amazing clarity of the lenses. They are also a really comfortable fit and don’t fog easily. I have the two different pairs for different weather days, but you could really just have one pair and buy a different lens type to suit your needs.